They say that a website and its hosting is a hand-in-glove situation. It should fit right in. A little more and it can fly off the handle, a little less and you will be stuck with it for long. Which is why, finding the right WordPress hosting for your website is essential. As someone who has opted WordPress as a preferred platform for the website, ensure that you have enough knowledge about WordPress hosting plans and providers. This could be a make or break deal for you since everything right from the security of the website to the server’s uptime, resources etc. depends on your WordPress hosting. Moreover, with the number of options vying for attention, it is but obvious for someone to lose track of important aspects that go into choosing the best WordPress hosting. With this article, you will leave no stone unturned in choosing a WordPress hosting for your WordPress website. Moreover, you will also know henceforth about the type of WordPress hosting plan you should choose for your hosting. Sounds informative? Plunge right in then. This is no rocket science, but we have seen quite often that people choose WordPress hosting after booking a meeting with the service provider rather than doing their own homework first.Be a step ahead with your research and understand what your requirements exactly are. So, as an exercise start by asking the first question. 1) What Budget have I Allocated for my WordPress Hosting Service? Budgets means costs. Costs means savings. And savings is money earned. Draw a budget according to the resources that you need. Do you need a lot of space? If yes then have a slightly flexible budget. This does not necessarily mean that you overspend to use all the resources. Chances are they may go unutilised. What a waste that would be. So, make sure that you create a resource structure in the beginning and then draw a budget that reflects it. 2) How much Traffic do I Estimate Today and 3 Months from now? If you have defined the purpose of your website, you must already have a rough number of the number of users expected month on month. Also, this component depends on how much of marketing you have planned to drive users to your WordPress website. If you are a business that expects frequent user activity, then you will need to make sure that your WordPress hosting package can bear the traffic. So, assume a number depending on what objectives and activities you have planned and select those resources accordingly. 3) Should I choose WordPress Hosting Based on the Scalability? Do I Really need 24/7 Support? Well, you know how big a business you are better than we do. So, it is better to choose a WordPress hosting plan that allows you to scale as you progress. Hence, make sure that your hosting service provider already has this provision made for customers. With respect to support, we strongly believe that it again depends on the nature of your business. Most of the service providers do lend 24/7 support but a word of caution, avoid those who give you automated support which has a chance of your problem not getting rectified thoroughly. If you have satisfactorily answered these questions for yourself, move on to the next bit, which is selecting a good WordPress hosting service provider. 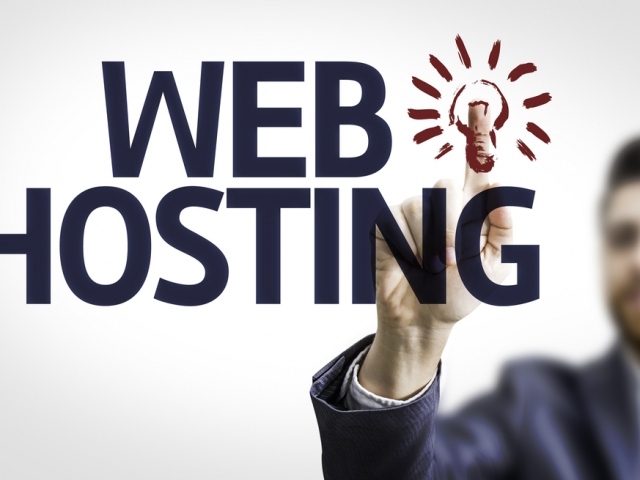 As you change your course in a bid to choose the best WordPress hosting, here is a lost of some must haves to take into consideration. A good server uptime is an indicator of good health of your WordPress website. It is just like the pulse-rate which keeps your website beating. If you were to go by great standards for a server’s uptime, then anything beyond 99% is a very healthy server uptime. So make sure that you don’t settle for anything less than that. . Your service provider should have made the provision of a plan B for your hosting. In spite of the security and protection softwares used you can never know which attack proves lethal for your website. Which is why, having a good backup and recovery plan is a must. To further the point made above, make sure the security of your WordPress hosting is not at stake. CodeGuard and Sitelock are key protection enablers for your WordPress website, so make sure that you know what your provider is giving you. These are some basic pointers you need to take into account. Of course, there are several other things with respect to data center location, overall performance and reporting, software updates etc. But these are basic elements that should set your WordPress hosting up for good. It is probably the cheapest web hosting service available among all the hosting plans available. Shared hosting starts with $2 and goes till $4 per month. Shared hosting is great if your business needs a separate blog/website that is not really heavy duty. Apart from the fact that it is limited in resources, you will always face the concern of safety or security since other websites are also hosted on shared. Hence it runs the risk of meeting with a similar fate as its other counterparts. WordPress VPS hosting will provide you more space and resources and gives you the independence of maneuvering as well because of root access. Since you have more control, VPS is preferred in comparison to shared WordPress hosting. Besides, it has the flexibility to scale itself as per your requirement as well. Managed WordPress hosting gives users those services that seek to get the work done on WordPress platform. This makes managing the WordPress website easy for the admin and website issues related to plugins, performance etc. can be resolved easily. Dedicated hosting provides you with all the necessary resources & customized for your website. No sharing, no security issues. More space and resources dedicated for your website. Dedicated hosting easily accommodates more than 100,000 visitors a month. So if you are a website that receives that kind of a traffic, look no further. This pretty much will give you an idea as to how to choose a WordPress hosting plan stepwise. We hope you now have enough information to make a purchase decision. There might be a probability that you feel a particular parameter or step is redundant. In that case, you do not have to make it a compulsion to include the same. These steps are given taking all kinds of businesses and users in mind.